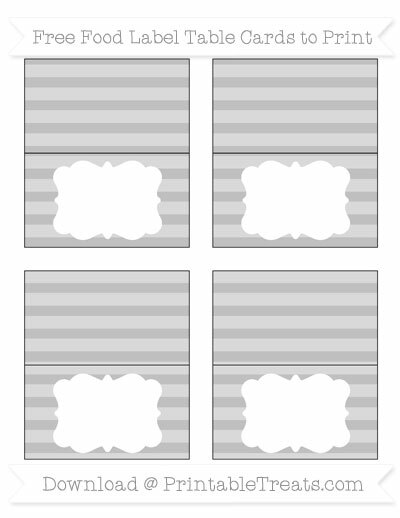 Print out these fabulous free silver horizontal striped simple food labels to use at a buffet or as dinner table placeholders. These cute simple food labels (four per page) have a colored background with a lighter colored pattern on top. There are fancy white labels in the center where you can personalize with a person’s name or food item. I have also posted these labels in multiple colors and patterns. You can find them by searching “color + simple food labels” on the site. These files are in JPEG format. You will need an image editor like Microsoft Paint in order to add your own text and images. There are also free online image editors like PicMonkey.com that can assist you with this.